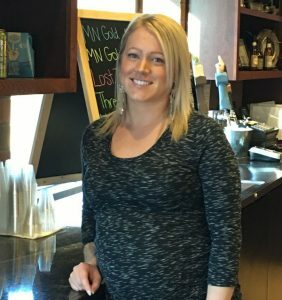 COLD SPRING, MN – Cold Spring Brewing Company (CSBC), the #1 producer of exclusive beer and craft beer brands for major retailers throughout the world is pleased to announce Amanda Trovall as Receptionist. 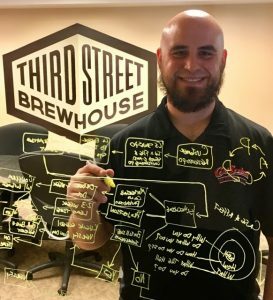 Trovall brings a fun energy to the front of the house at the Third Street Brewhouse facility, providing a knowledgeable, friendly face to greet all guests. She joined the CSBC team as a receptionist in 2016 after having worked in both the fashion and real estate industries. Trovall has experience running boutique clothing stores and in property management with Granite City Real Estate, which translates well to administrative duties for CSBC. Trovall is the first stop and security check-in point for customers, vendors, contractors and employees alike. She has her finger on the pulse of the facility, knowing who’s coming, who’s going and any events scheduled anywhere on the CSBC campus. Trovall greatly enjoys the ever-changing aspect a reception job provides. Every day is different so her duties, responsibilities and priorities adjust as necessary. “You never know who (or what!) is going to come through that door; it’s really fun and it keeps me on my toes,” continued Trovall. Third Street Brewhouse’s tap house is open on Fridays from 4-8pm and Saturdays from 12-5pm. Visit Third Street’s website at www.thirdstreetbrewhouse.com for additional information, locations and a full list of beers. 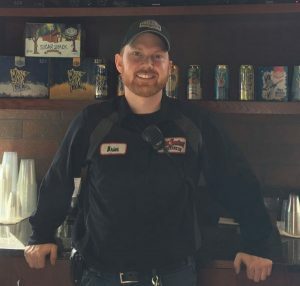 COLD SPRING, MN – Cold Spring Brewing Company (CSBC), the #1 producer of exclusive beer and craft beer brands for major retailers throughout the world is pleased to announce the promotion of Randy Topp to Maintenance Planner. After working as a union laborer for over 13 years in the Twin Cities, Topp was looking further his career closer to his home in Eden Valley. He spent over a year with the process control team at CSBC before transitioning to Maintenance Planner in December 2016. CSBC experienced incredible growth in 2016, and announced plans to expand the company’s shipping facility by 300,000 square feet. Topp and his team are well positioned to support the additional infrastructure. “It is fun and exciting to be part of a company with so much opportunity to grow – there’s always more to do and learn,” continued Topp. COLD SPRING, MN – Cold Spring Brewing Company (CSBC), the #1 producer of exclusive beer and craft beer brands for major retailers throughout the world, announced Andy Juelich as Process Improvement Manager. Juelich is no stranger to the beverage industry with nearly a decade of experience. 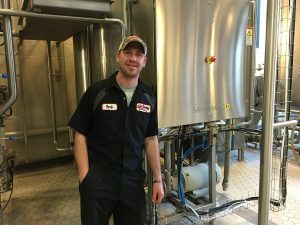 Prior to joining CSBC in 2009, Juelich had the opportunity to work and intern at Leinenkugels Brewing Co., as a Quality Control Technician, where his passion for the beer industry grew and he began developing his skills in process management. In addition to his experience in the field, Juelich attended the University of Wisconsin-Stout in Menomonie, WI, where he gained a Bachelor of Science in Food Chemistry. 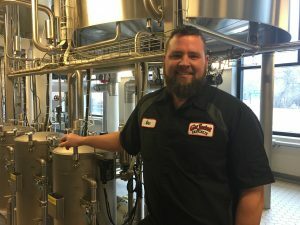 COLD SPRING, MN – Cold Spring Brewing Company (CSBC), the #1 producer of exclusive beer and craft beer brands for major retailers throughout the world, announced Dan Luethmers as Programmable Logic Controller (PLC) Technician. Luethmers brings over a decade of PLC experience to the CSBC team. Prior to joining CSBC in 2011, Luethmers held PLC related positions at Douglas Machine in Alexandria, MN and Park Industries in St. Cloud, MN. In addition to his work experience, Luethmers also holds a degree in Programmable Logic Controls from Alexandria Technical and Community College. PLC technicians work with digital computers programmed for the process control of manufacturing processes, such as Production lines. In his current role, Luethmers maintains controls throughout the facility, ensuring that all systems are running properly. He also works with the maintenance and production teams to determine more efficient practices, as well as consulting and troubleshooting equipment for packaging beverage products. Along with programming, Luethmers also creates 3D drawings from multiple applications at CSBC which include line layout, facility updates, parts.